Yum! I want some! It’s getting late here I must be hungry! Thanks for linking up to Merry Monday! Sharing on my Recipe Favs Board & Yummed! Have a great week! Thanks for letting us stop by to your party! 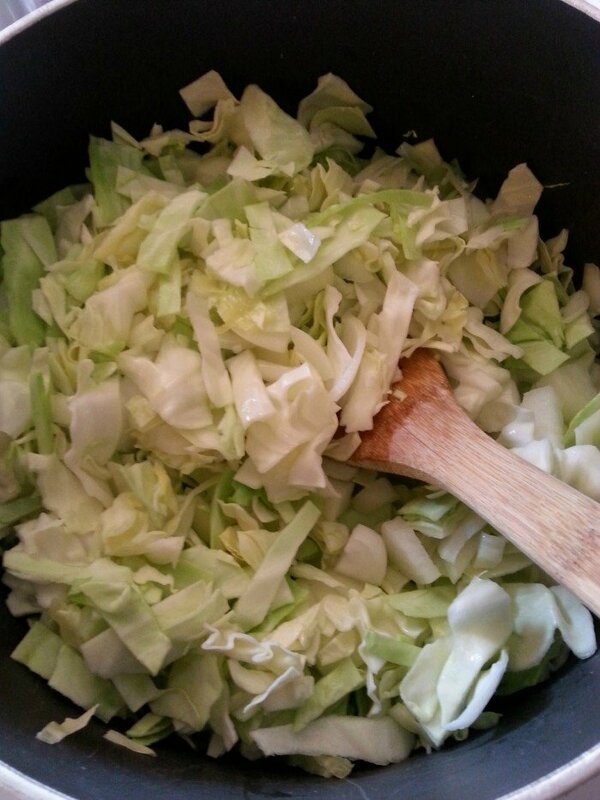 Oh I love cabbage and have not had cabbage soup before! Looks really good! Stopping by from the SOS party. This looks so much more easier to make than actually rolling them up. Thank you for the inspiration. I would like to invite you to post this link on my link up, I have readers who would love this recipe. Have a great night. 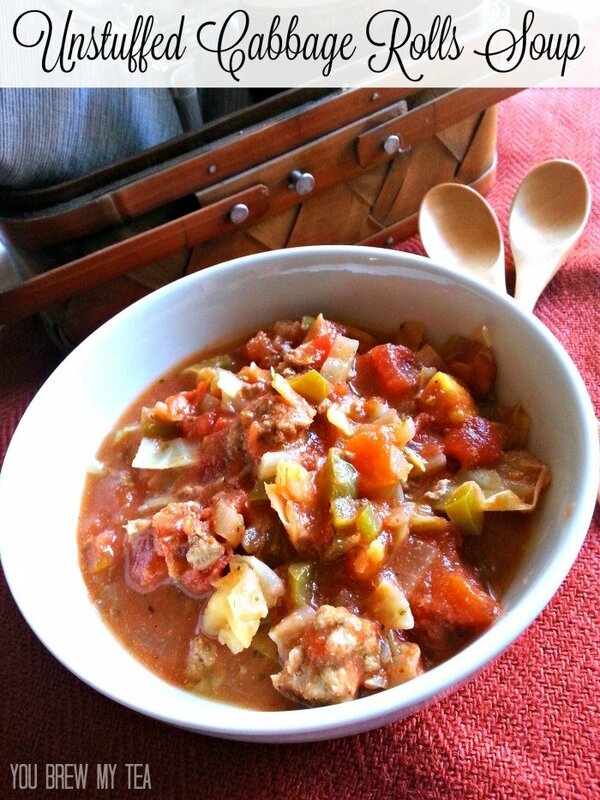 Thank you for sharing this recipe with our Foodie Friends Friday linky party. We love is and are featuring it this week as part of our menu plan! This sounds awesome! Perfect for this time of year. Thanks for sharing at the #HomeMattersParty – hope to see you again this weekend! Is the serving size 1 cup? 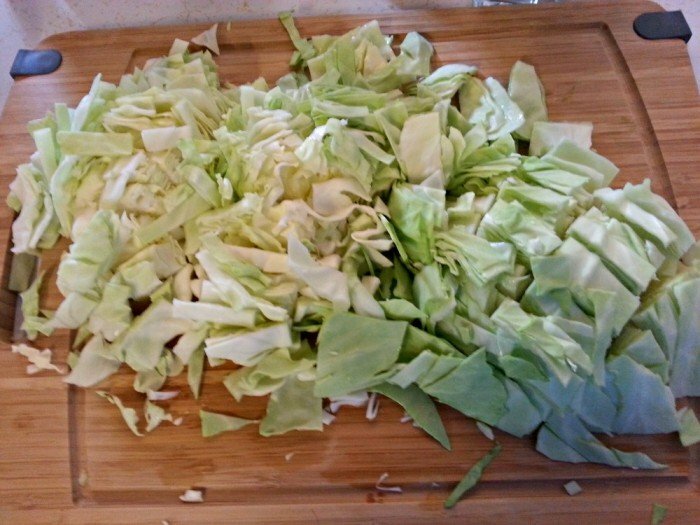 It will vary slightly depending on how much your cabbage shrinks down. Around 1 to 1 1/2 cups. When do you add the minced garlic? It was left out of the instructions. I’m currently making it! Can’t wait!!! 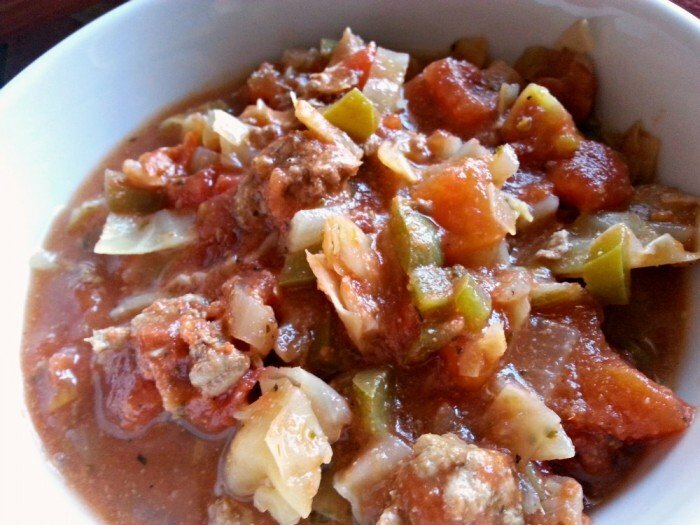 You can add with the other vegetables to simmer. 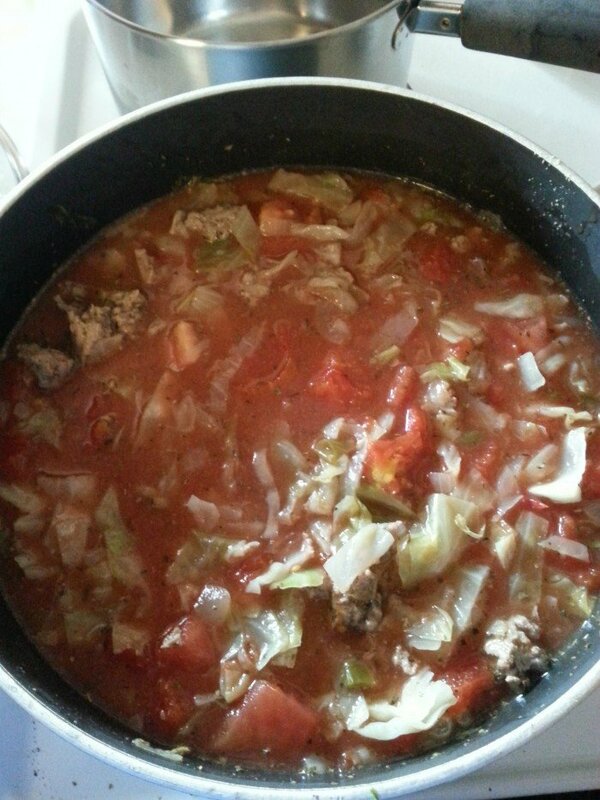 This soup looks so good! What would the points be per serving if you used lean ground beef? Thanks so much!! Can some of the servings be frozen so they can be eaten at a later date? Yes – this freezes beautifully!